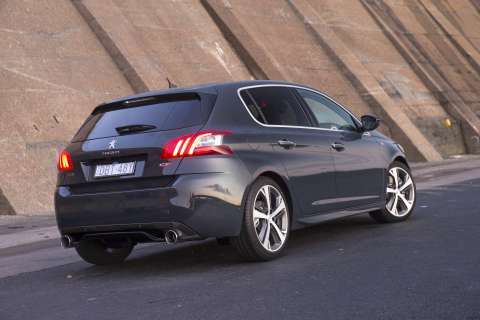 2016 Peugeot 308 GTi: A Wheel Thing Car Review. | | A Wheel Thing. 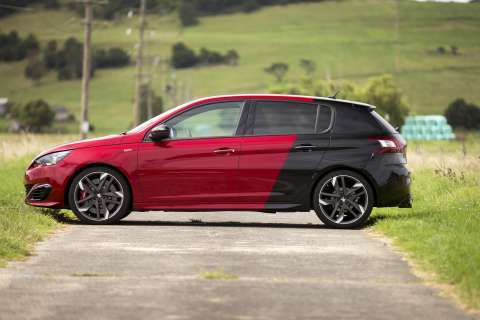 2016 Peugeot 308 GTi: A Wheel Thing Car Review. Hot Hatch. Two words that belong to some, are linked to many, but come from just one. Peugeot. The latest iteration of a hot hatch from the French car maker is the 308 GTi. Take a sweetly curved five door hatchback body, insert a grunty 1.6 litre turbo and bolt in a slick shifting six speed manual and there’s the basis of what is one of the most complete cars of its kind going. Peugeot have two GTi versions available, the full house 200 kilowatt (GTi 270) or slightly less manic 184 kilowatt engine (GTi 250). Torque is a level headed 330 Nm spread across nearly 3000 revs. There’s a 53 litre tank on board, however, which makes the quoted 8.1L/100 km around town equte to something like 650 kilometres in range if drivien to achieve that number. Combined it’s 6.0L/100 and for holidaying call it 5.0L/100. These merge to provide a seamless mix of acceleration and driveability, aided by one of the best balanced clutch and gear selectors you can find. There’s plenty of pressure on the pedal, yet not so much that you need a leg of a body builder. The pickup point for the engagement of the gear is roughly mid travel but is balanced so it’s progressive from top to bottom, so there’s feedback all the way. The selector itself has just enough heft, enough spring pressure, to tell the driver there’s something alive there. It’s not loose or floppy nor is it rigid and inflexible or tough that strong arming the change is needed. It’ll ratchet through, a satisfying snick accompanying the movement and, importantly, the gate is so well defined that a racing change gets you to the next slot every time. 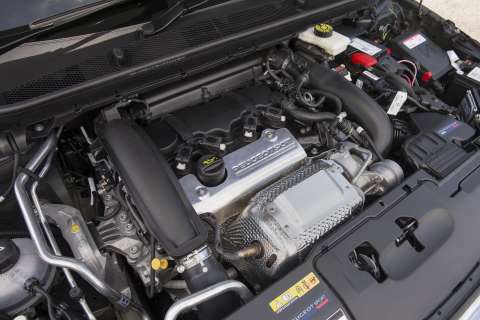 Peugeot quotes 6.2 and 6.0 seconds for the run to 100 kmh, depending on the engine spec. When given space to do so, the GTi eyeballs the horizon, tells the driver not to blink and then launches the 1200 kilo mass as if a solid rocket booster has been lit. That fluid combination of clutch and gear shift work so wonderfully well as first becomes second becomes third. There’s an enthralling, engaging note from the front and a rasp from the twin exhaust. Hit the Sports button and that changes, with a wider note that adds a harder edge to the sound. 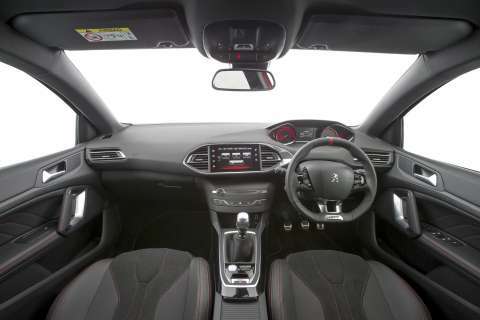 It’s a bit of trickery as that extra sensation is fed into the cabin via the sound system… The ride of the GTi is superb; again, Peugeot have found that balance between tight and taut as the car holds on to every ripple and curve in the road without sending messages of warning to the driver. Imagine riding a push bike over mildly unsettled surfaces and having the wheels roll over everything without any bumps banging and crashing through. Having said that, although the GTi is forgiving, it doesn’t tolerate rutted surfaces or broken tarmac. The dampers don’t respond quickly enough and the 308 gets skatey, wriggly as opposed to the flat and normally limpet like grip otherwise exhibited. The 235/35/19 rubber and alloys go a long way to helping that ride and handling mix in the GTi 270 or 225/40/18s on the GTi 250. The steering is razor sharp, responding to the slightest movement of the smallish steering wheel. Given the average steering stetup is geared towards understeer, it’s a pleasant surprise and defines the market the GTi is looking for. A 2620 mm wheelbase inside the overall 4253 mm length aids the nimbleness of the car. The brakes are the same. So quick is the response to the lightest touch on the brake pedal, it is almost an unreal feeling and defies expectation. There’s a real and instant feeling of slowing, rather than a soft press and a half inch of travel before there’s a semblance of bite. 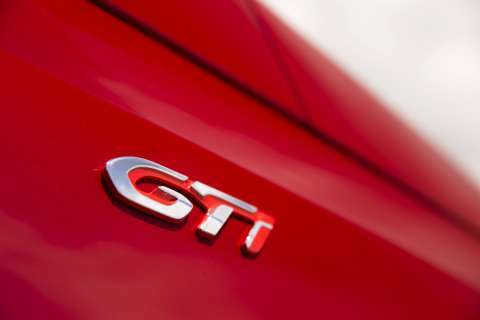 Here, the GTi lets you know straight away that the brakes from Brembo are engaged and that the harder you press the quicker you’ll stop or that if wish just a touch of slowing, a gentle touch is all that’s needed. the GTi 250 gets 330 x 30 mm discs up front, 268 x 12 at the rear. The GTi 270 takes it up a notch, gaining 380 x 32 for the front with the rear staying at 268 x 12. Inside it’s sports seats, a dash that glows red when Sports is selected, touchscreen and Bluetooth tech, a somewhat tame looking colour scheme that belies the ability of the engine. The seats are a measured mix of leather and charcoal cloth with brightwork in the cabin provided by chrome look surrounds for the centre console, binnacle and air vents. The tiller is a combination of vented leather look and non vented, with a red stripe sewn in to mark the twelve o’clock position. You’ll be protected by curtain, side and front airbags, side impact absorbing material in the doors, a collapsible steering column and pretensioning seatbelts. 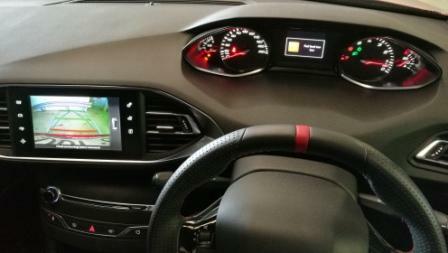 For comfort and cargo there’s auto windows all round, reverse camera, chromatic (auto dimming) rear vision mirror, parking sensors front and rear plus the driver gets an information screen when Sports is selected. For those that choose to buy the five door hatch and carry a little person or two around, there’s ISOFIX mounts for two. A pair of 12V sockets are in place front and rear also. 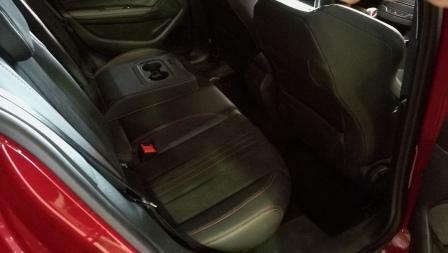 There’s a handy 470 litres of cargo with seats up, increasing to over 1300L when all seats are lowered. Design wise outside it’s a sedate look, with LED driving lights, “claw” tail lights and a GTi specific grille as standard. There’s bespoke sill inserts for the door jambs, a sports diffuser at the rear that houses the twin tipped exhaust and bespoke GTi badging. Mid November 2016 sees driveaway pricing for the GTi 250 at just under $50K. That’s a hefty ask as is the just sub $55K ask for the GTi 270. There’s an enticing eight year warranty for any 2015 model purchased to sweeten the deal though. As a car, the 308 GTi is an outstanding package, almost a complete driver’s car and that’s the strongest point the car makes. It’s a DRIVER’S car, involving the organic element of driving to a level unlike so many road cars. 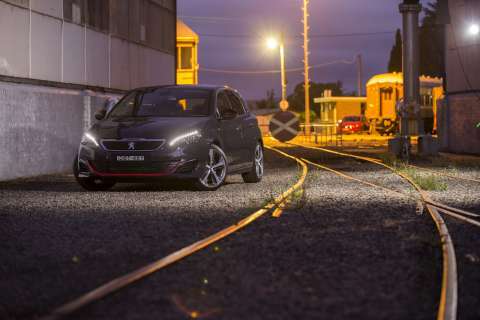 The rapidity of response, the level of response, the feeling of being the final component of a computer that makes it all just work when the final slot is filled and power is turned on brings the driver into play across all levels of ability the Peugeot 308 GTi has. 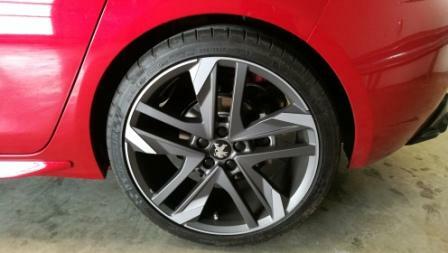 Be the first to comment on "2016 Peugeot 308 GTi: A Wheel Thing Car Review."